This made for an interesting companion book to Free, which I also read recently. Where Free looks at how businesses can make money off zero- or low-cost offerings, Drive investigates the other side of the coin: asking what motivates people to do things--often for free--which can be good for life as well as business. 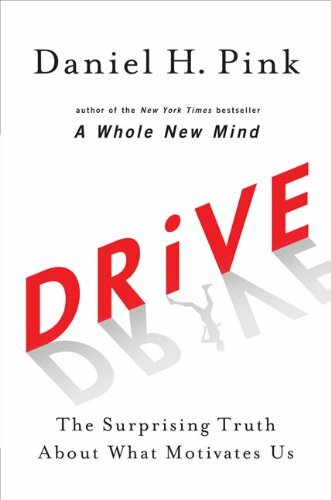 The oft-repeated theme of Drive is the gap between "what science knows and what business does." And Pink puts his money where his mouth is--there are plenty of studies and research to back up his conclusions about "Motivation 3.0" and the things which can help any organization get the most out of its members; to wit, recognizing that people will work harder when they have autonomy and purpose, and in pursuit of mastery of a skill, than when they're just in it for the money.